Among the NSA’s targets was UN Secretary General Ban-ki Moon. “If the Secretary General can be targeted without consequence then everyone from world leader to street sweeper is at risk,” says Julian Assange. New documents published by WikiLeaks on Tuesday reveal more of the U.S. National Security Agency’s (NSA) spying operations on foreign leaders, including its interception of climate talks between UN Secretary General Ban-ki Moon and German Chancellor Angela Merkel. The cables, some of which are marked “Top Secret” and which WikiLeaks says are the most highly classified documents ever released by a news organization, show that the NSA spied on Ban’s strategizing on climate change with Merkel ahead of the 2009 Copenhagen Conference, where an attempt to negotiate a climate accord ultimately failed. “Today we showed that UN Secretary General Ban Ki-Moon’s private meetings over how to save the planet from climate change were bugged by a country intent on protecting its largest oil companies,” said WikiLeaks founder Julian Assange. That endeavor ultimately failed when world leaders were unable to strike an accord following U.S.-led negotiations. 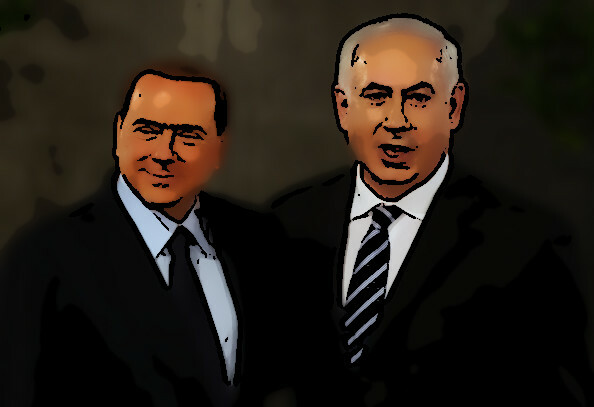 Additional documents show the NSA also spied on a conversation between Israeli Prime Minister Benjamin Netanyahu and Italian Prime Minister Silvio Berlusconi; a meeting between Merkel, Berlusconi, and then-French President Nicolas Sarkozy; and diplomatic talks between Japanese and European Union (EU) ministers ahead of global trade negotiations. The cables show Netanyahu asking Italy for help in repairing Israel’s fractured relationship with the U.S. in 2010. In 2006, the NSA spied on Japanese and EU ministers discussing U.S. and EU participation in the Japanese economy, and the EU’s commitment to avoid “under-the-table” deals with the U.S. at the upcoming World Trade Organization (WTO) talks in Doha, Qatar. “There was a conviction in both Brussels and Tokyo, according to Japanese reporting, that great care must be taken to avoid falling prey to U.S. moves designed to extort concessions through exaggerated initial demands,” the cable states. “[EU Agriculture Commissioner deputy cabinet chief Klaus-Dieter] Borchardt also tried to allay Japanese fears that the EU might try again to enter into a bilateral, under-the-table deal with the U.S. (as had happened in Cancun in 2003), saying that Brussels had learned its lesson with respect to such back-door actions,” it reads. The report is stamped “REL TO USA, FVEY,” which indicates that the NSA could release the information to other U.S. agencies and to its “Five Eyes” intelligence allies—Britain, Canada, Australia, and New Zealand. Between 2007 and 2011, the NSA targeted 13 phone numbers belonging to officials in Austria, Belgium, France, Italy, and Switzerland. As the Intercept notes, all but one of those phone numbers are still in use today.